Mostly parents complain about their toddlers being addicted to mobile phones and televisions. One hears parents saying that my kid can access all apps on a mobile, fingers work on the phones so smoothly etc etc. But does one realises who gave the first access to these gadgets to the kids? 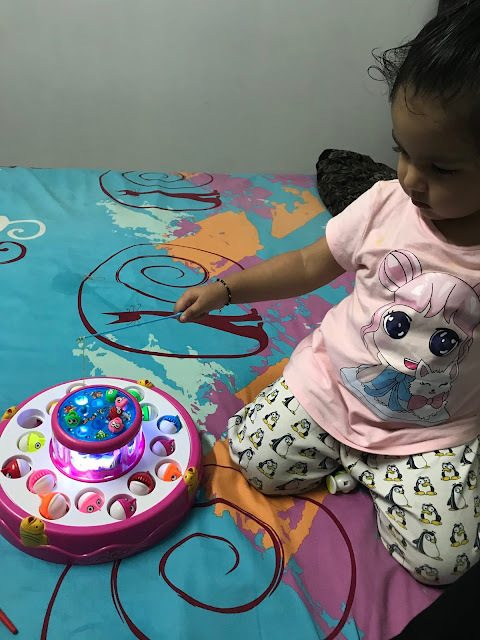 In 95% cases I have seen, We the parents are the ones who gave these gadgets to the children. 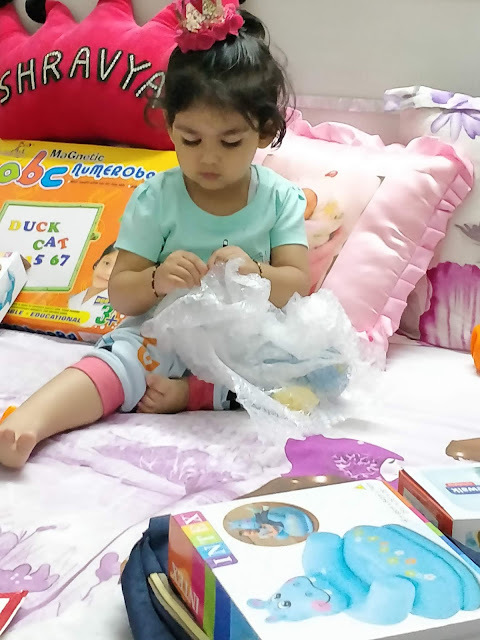 Besides normal toys, I have been thinking of various activities for my 2 year daughter to keep her engaged and her mind diverted from Mobile and TV. I have been doing this for a quite a long time and to a certain extent have succeeded in diverting her mind as she is quite fond of nursery rhyme videos on Youtube. Painting - I have been doing finger painting with my daughter for quiet a sometime now. 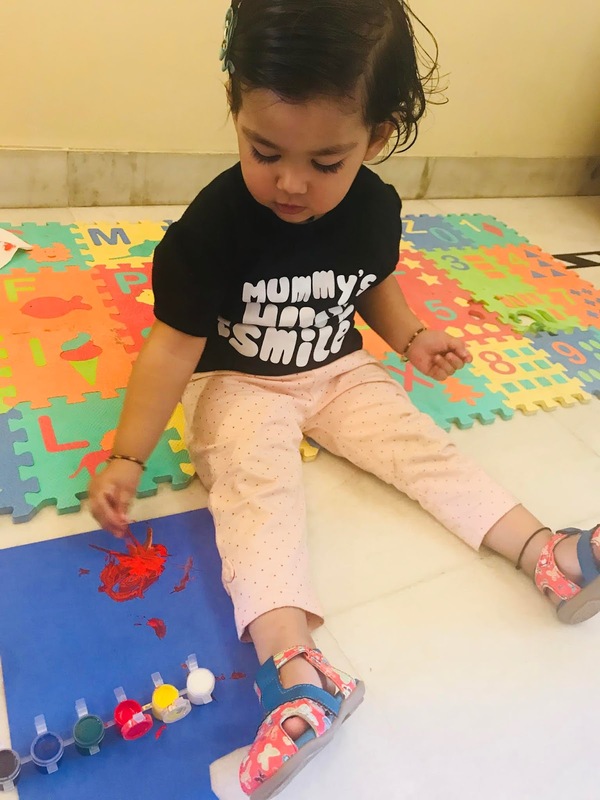 One can do hand painting also. 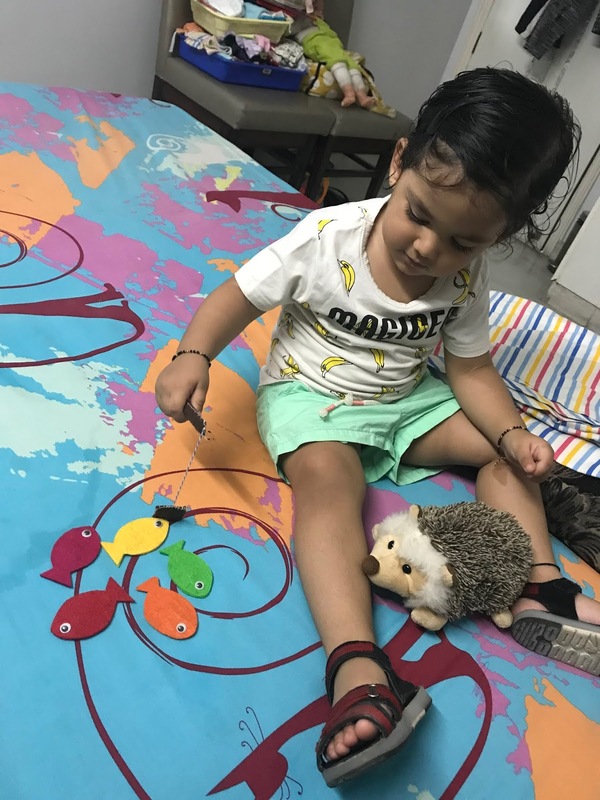 Toddlers love to scribble with the crayons. Reading Books - If you want your child to read books then he/she has to see you reading first. 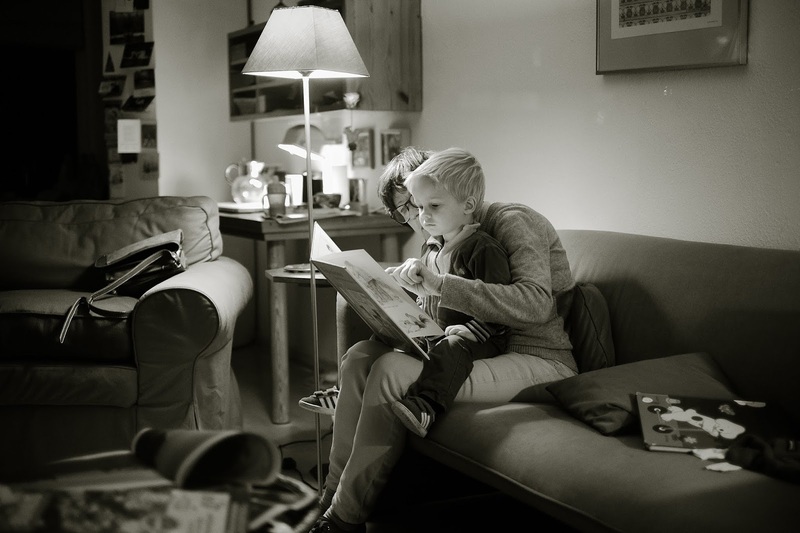 Sit with the kid in your lap and read the book along with the kid. This will help in keeping the child's interest. 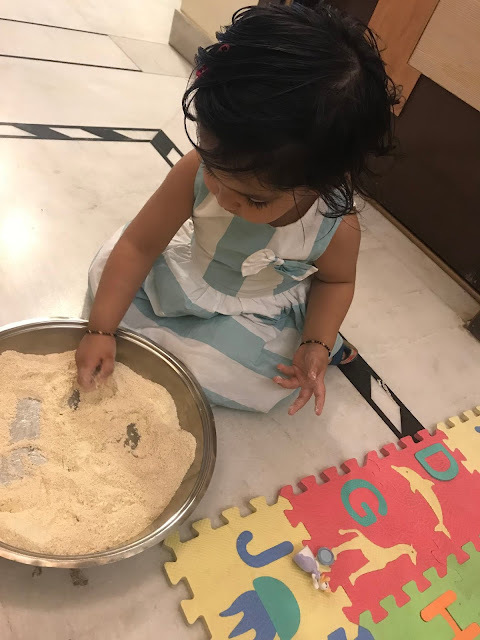 Treasure Hunt Activity- I made a mixture of all the flour available in kitchen (including wheat flour, maida, besan and oats) made a good quantity which could fill a pan easily. Then I put few small toys like lego blocks, eraser, big button, cap of a pen etc and mixed them in the dry dough. Before putting the items in it, I showed them to my daughter with the item name so that when I ask her to find any particular item she is aware what she has to look for. 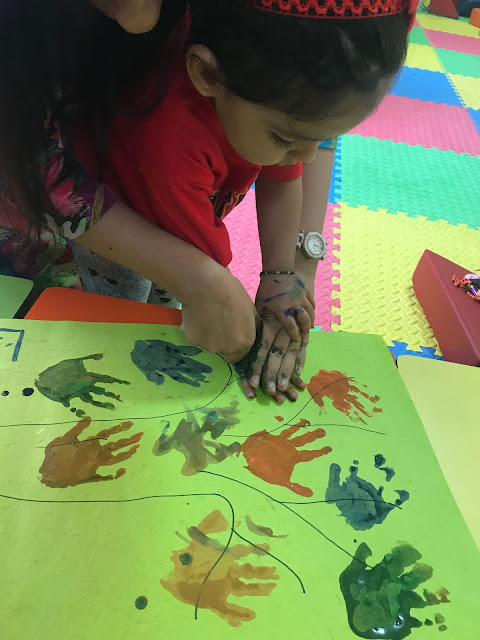 This activity took few sessions for better implementation but every session got better than the first. 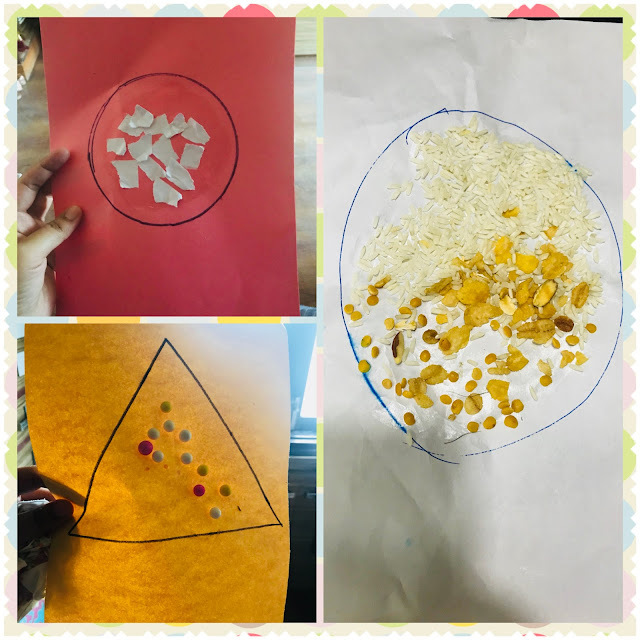 Pasting and Sticking Activity - Thanks to the internet, there are many templates available online for different objects. I took out the print out of a ladybird, got red glaze paper, tore them in pieces and applied fevicol on the ladybird template. I asked my daughter to stick those bits of red paper on it. 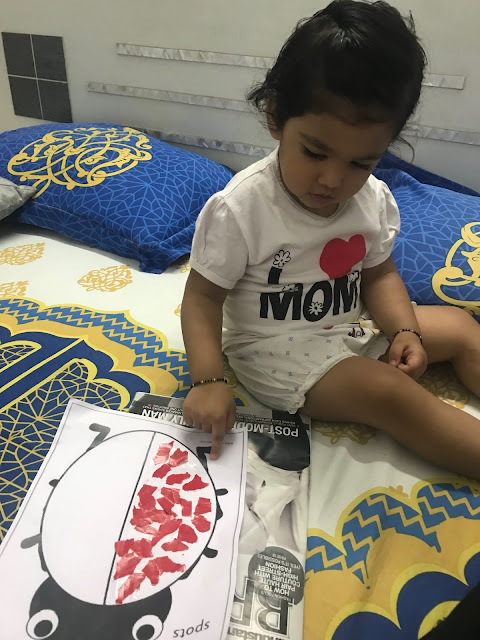 Initially she played with the fevicol and wanted to get her fingers washed often but with time we did complete many templates like these. One can use paper, thermocol balls, rice and pulses etc as the sticking material. 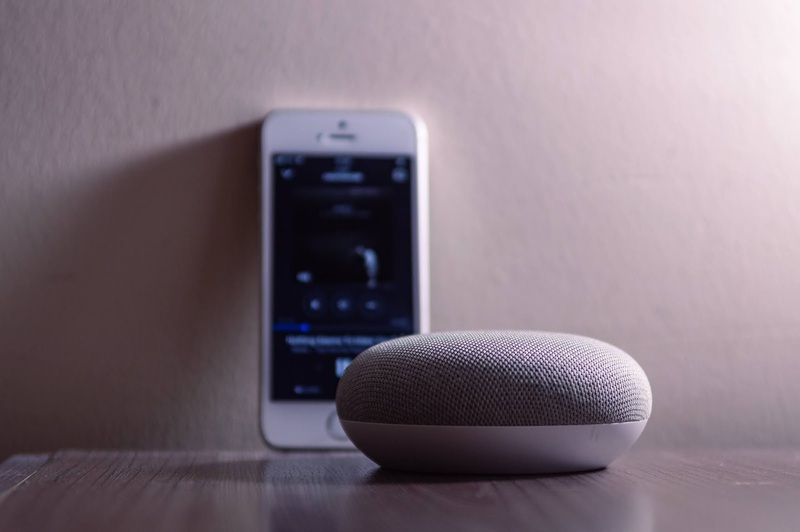 Music on Speaker - When my daughter is in no mood to do any activity then I just put the songs or nursery rhymes on the bluetooth speaker and keep the phone away from her eyes. But the foremost thing is to limit the usage of these devices in front of kids as above mentioned activities are a temporary measure and will only divert a child's mind for sometime. The less you use these devices the less they will ask for it. Also, the above list is subjective and worked on my daughter. It also helped in building motor skills of my daughter. You can mention in the comments any other ways to keep the toddlers away from these gadgets.